Necklaces | BeterLeven.net - Hip & Fair Shopping! Kazuri necklace. Pitapat. Handmade necklace from ceramic beads from Kenia. In different colours. Fairtrade by Kazuri. Kazuri frutti pendant. Stone size: 4,5 cm. Handpainted ceramic beads from Kenia. fairtrade. Bracelet made of 8 strings of colourful beads in orange, yellow, pink and blue. Fairtrade from India. Necklace Serengeti. With small ceramci beads. Fair trade by Kazuri. Handmade in Kenia. Necklace mede from ceramic beads. Type: UFO by Kazuri. Available in green, red, yellow. Handmade in Kenia. Necklace Mini Tango. 17" Handmade from clay beads in Kenia. Fairtrade by Kinta. 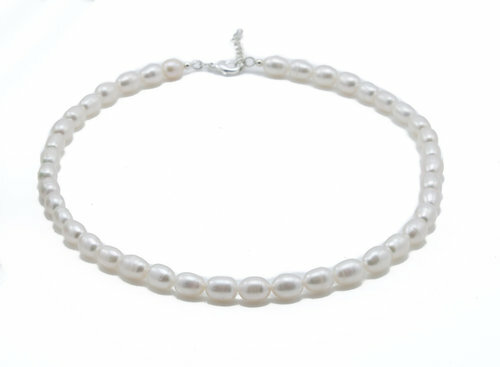 Capiz necklace, made of the shell of a pearl-oyster. 8 cm. Fairtrade by Kanika. Capiz necklace, made of the shell of a pearl-oyster. 8 cm. Black-blue. Fairtrade by Kanika. Pearl necklace. Riverpearls. Handmade in Vietnam. Necklace with small brown, white, beige circels. 80 cm. Made of bone. Fair Trade Original. Necklace made of yellow, black and cream coloured resin. Length 120 cm. Necklace brown resin. 50 cm. Fairtrade by Fair Trade Original. Byoux basket with top. in different sizes available. Fairtrade. Made by Baskets beads and Basics in Senegal.